My grandmother, we call her Mammy, makes the best pumpkin cookies. My mom’s pumpkin cookies taste delicious too, but my cousin has ruled Mammy’s as the winner. I must agree with him. 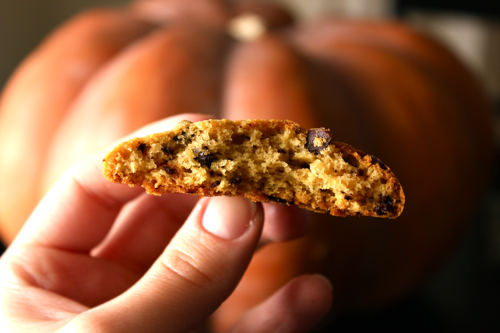 Pumpkin cookies are great in the fall, but I love snacking on them throughout the year. They don’t stick around for long, so I keep making new batches. I also like keeping them in the freezer so they are hard and crunchy with extra-cold chocolate chips. 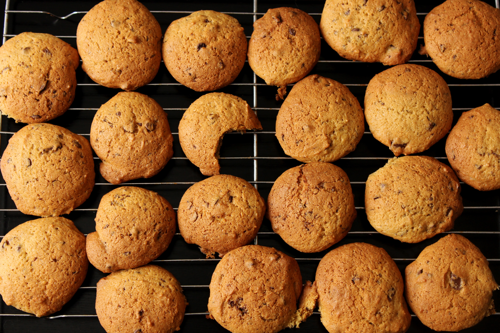 To make these cookies, preheat your oven to 350°F. 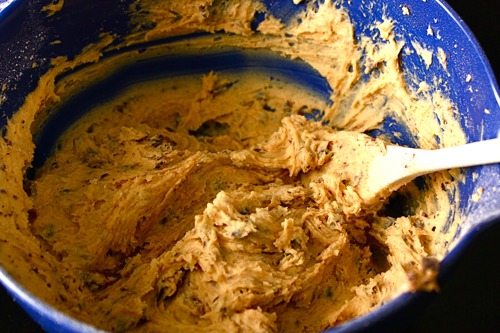 In a large bowl, cream together 1 stick of room-temperature butter and 1.5 cups of sugar. Then, add in 1 teaspoon of vanilla extract, 1 egg, and 1 cup of pumpkin purée. 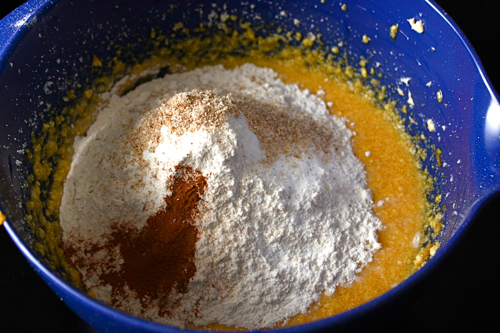 After you have a pretty, orange mixture, add 2.5 cups of flour, 1 teaspoon of cinnamon, 1 teaspoon of baking powder, 1 teaspoon of baking soda, 1/2 teaspoon of nutmeg, and 1/4 teaspoon of salt to the bowl. Stir everything well to combine. Mix in 1 cup of chocolate chips as well. It will look amazing. 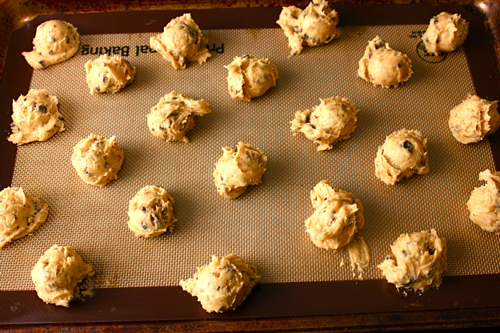 Scoop tablespoon-sized balls of cookie dough onto baking sheets. I use a mini ice cream scooper for this, but Mammy uses 2 spoons. Her cookies have glorious, crispy peaks on them when they’re baked, but mine never do. Her spoon method might have something to do with this. Make sure to space the cookies evenly because they do spread. Bake the cookies for 15 minutes. Your kitchen will smell fabulous. The aroma lingers too. Someone should put this smell in a candle! I know it sounds crazy to make warm cookies just to freeze them, but I really do like them best cold. So once they come down to room temperature, freeze them spread out of cookie sheets and then transfer the cookies to a container or plastic bag for longer-term storage (not that they’ll last for too long). Thanks for the recipe… I had a pie pumpkin from last week’s box that I needed to use! The cookies are amazing! Thanks!! I had such a hard time opening my pumpkin… I hope yours was easier!